In this latest exhibition of the ongoing Artist/Architect series, visual artist Suzanne Mooney and architect Felix Robbins consider the fragment as an indicator of possibilities within their respective enquiries. If the ‘whole’ is encountered in this exhibition, it is as an unseen and uncertain ideal, in face of which the photographic image or architectural project carries an inherent instability stemming from the fragmentary nature of its evolution. The approach taken by both exhibitors has an archaeological aspect, factoring-in shifting historical positions to an investigation of the material remnants of their individual disciplines. Felix Robbins’ drawings propose projects that recognise slippage in approaches to architectural languages, and acknowledge architecture as an “unstable and contingent field of possibilities”. The relationship between the photographic image and the materiality of glass is central to Mooney’s work in this exhibition. Working with defunct methods of image reproduction, photograms and glass plate negatives, she highlights the circulation and obsolescence of objects and the conflation of time and space through the photographic. The dialogue that emerges between the exhibited works articulates a need both to recognise instability as contingent to practice and its outcomes, and to generate strategies to account for this. 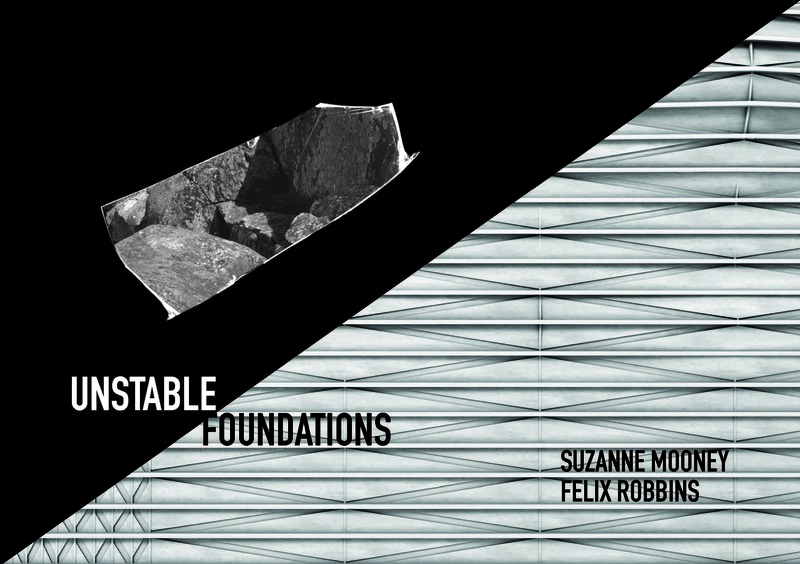 The latest exhibition at the Stephen Lawrence Gallery, Unstable Foundations . . .